We regret to report the passing, on June 22, of Donald Richard Bounds, aged 89 years. Born November 13, 1928 in Illinois, Mr. Bounds graduated from UMS High School in Mobile and was a 1951 graduate of the University of Alabama. After receiving his undergraduate degree, he served in a medical unit of the U.S. Army during the Korean War. 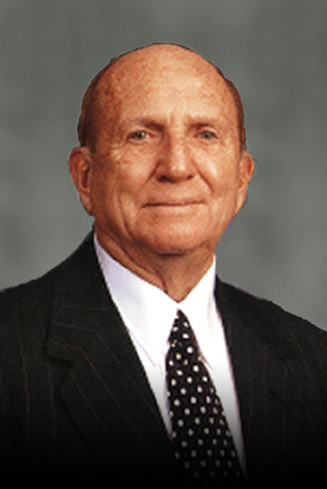 Mr. Bounds graduated from the University of Alabama School of Law in 1956; in law school he was a member of the Alabama Law Review. In 1958 Donald Richard Bounds and Robert T. Cunningham, Sr. founded the law firm of Cunningham Bounds, LLC, which would become one of the most prominent and successful plaintiff’s law firms in the nation. Subsequently Mr. Bounds would serve as president of the Mobile Bar Association, president of the Alabama Trial Lawyers’ Association, and member of the Board of Governors of the Association of Trial lawyers of America. In addition he was a fellow of the International Academy of Trial Lawyers and a member of the International Society of Barristers, the American College of Trial Lawyers, and the American Bar Foundation. In the midst of this exemplary service to the legal profession, Mr. Bounds found time for many charitable activities. 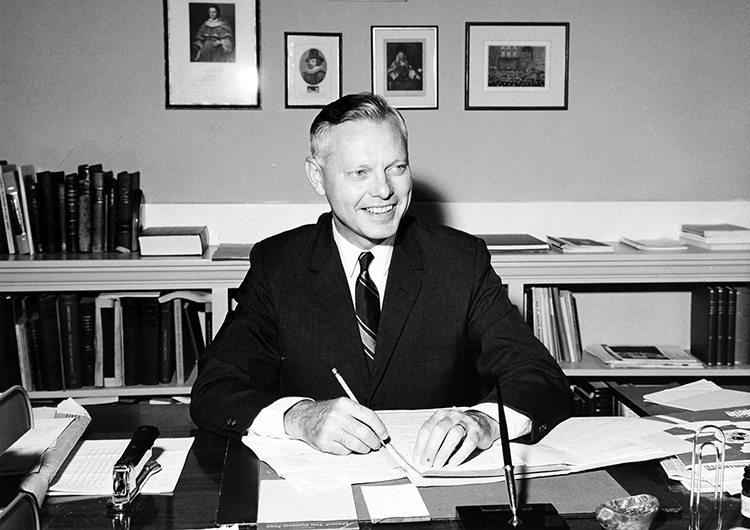 The School of Law benefitted from his generosity, including the endowment of a student scholarship in memory of his son Donald Richard Bounds, Jr. 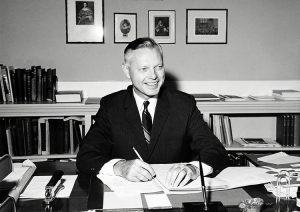 In 1998 the Bounds Law Library was named in memory of Donald Richard Bounds, Jr. and Russell Hampton Bounds. 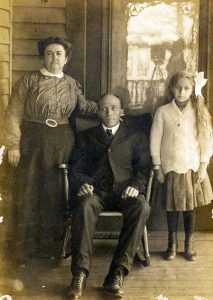 Mr. Bounds is survived by his wife Anita Chamberlain Bounds, his sister Dorothea Bounds Long, and several nieces, nephews, grand-nieces and grand-nephews. A service in his memory will be held at 1:00 p.m. at St. James Episcopal Church in Fairhope, Alabama. Welcome to Litera Scripta, the Bounds Law Library Special Collections blog! We hope to share with you our many books, manuscripts, and artifacts. We’re not particular about form or format. At Bounds, we preserve and catalog a diverse collection of documents and objects, all with an eye to the evolution of common law. Our primary focus is on legal history in Alabama; but we’re also interested in law and society in the south and the nation, in the English roots of constitutionalism and the rule of law, and in the history of the civil law. Thus we’ll be blogging about our collections of early Alabama lawbooks; our Tudor-Stuart treatises, abridgements, and reporters; our first edition Blackstone; our collections of lawyers’ notebooks and Alabama judges’ scrapbooks. That’s just a start! Soon, for instance, we’ll unveil an assemblage of books and ephemera associated with the Knights Templar. And much, much more. Most of our holdings are by definition hard-to-find. Some are large and impressive, such as Justice Hugo L. Black’s reconstructed study; others are small and unique, such as Justice Black’s ouija board. We’ll speak for all of them—with the possible exception of the ouija board, which has been known to speak for itself. A word about our title, translated freely as “the written word.” These words are plucked from a Latin proverb sometimes quoted by lawyers: “Vox emissa volat; litera scripta manet.” Or, “Spoken words fly away; the written letter remains.” As to the printed letter, the decorative initial letter in our title was borrowed from Renaissance printer Richard Tottel’s 1562 work, Regis Edwardi Tertii a primo ad decimum…. Finally, our editors Paul M. Pruitt, Jr. and David I. Durham would like to introduce themselves and their colleague and fellow contributor Ellie Campbell. Paul M. Pruitt, Jr. is Special Collections Librarian at the Bounds Law Library—a position he has occupied since the crust of the earth began to cool— and Adjunct Instructor at the UA School of Law. He is co-editor, with David I. Durham, of the Occasional Publications of the Bounds Law Library. The latest in this series (Number 8) is titled Traveling the Beaten Trail: Charles Tait’s Charges to Federal Grand Juries, 1822-1825 (2013). Pruitt has authored a number of journal articles; in addition he is author of the book Taming Alabama: Lawyers and Reformers, 1804-1929 (UA Press, 2010). David I. Durham is the Curator of Archival Collections at the Bounds Law Library and teaches in the university’s Department of History. In addition to serving as co-editor of the Occasional Publication series with Paul Pruitt, Durham’s research interests include legislative, legal, and diplomatic topics in the United States and Latin America. His book, A Southern Moderate in Radical Times: Henry Washington Hilliard, 1808-1892, explores the role of a political and social moderate in a polarized society and was published by LSU Press in 2008 as part of their Southern Biography Series. Ellie Campbell is the Archival Assistant at the Bounds Law Library and is a recent graduate of both the University of Alabama’s School of Law and School of Library and Information Studies. Additionally, she holds a Master’s degree in Southern Studies from the University of Mississippi and a Master’s in American Studies from King’s College London. She is the author of “Breakthrough Verdict: Strange v. State,” a chapter in the forthcoming book New Corn, New Fields: Essays in Alabama Legal History. She will occasionally contribute book notes on key texts addressing Southern and Alabama legal history.